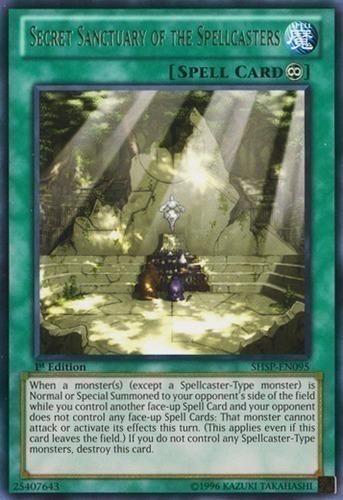 When a monster(s) (except a Spellcaster-Type monster) is Normal or Special Summoned to your opponent's side of the field while you control another face-up Spell Card and your opponent does not control any face-up Spell Cards: That monster cannot attack or activate its effects this turn. (This applies even if this card leaves the field.) If you do not control any Spellcaster-Type monsters, destroy this card.